It was more than a decade ago that my youngest son introduced me to the world of buoys. When my kids were younger, we traveled by boat every weekend to beautiful Block Island. It was during this time that my son became infatuated with buoys, and his obsession became infectious. While at sea, he would always be on the lookout for the next red or green buoy. He’d plot their numbers and location on a chart. It was quite cute, I must say. 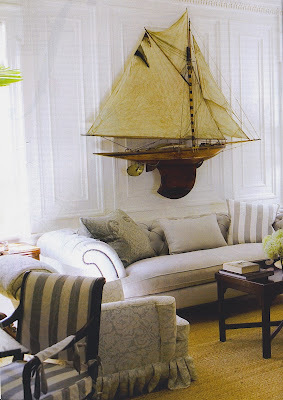 It was my sons love of buoys that inspired me to start incorporating them in my interior designs. 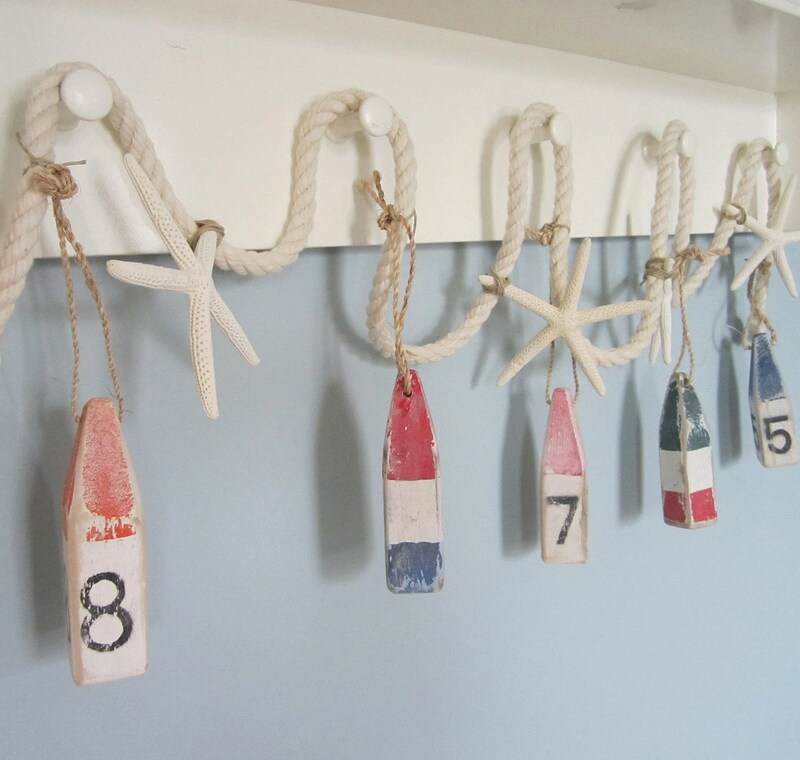 I learned that buoys are an integral part of any nautical or coastal decor project, not just for sailors at sea! 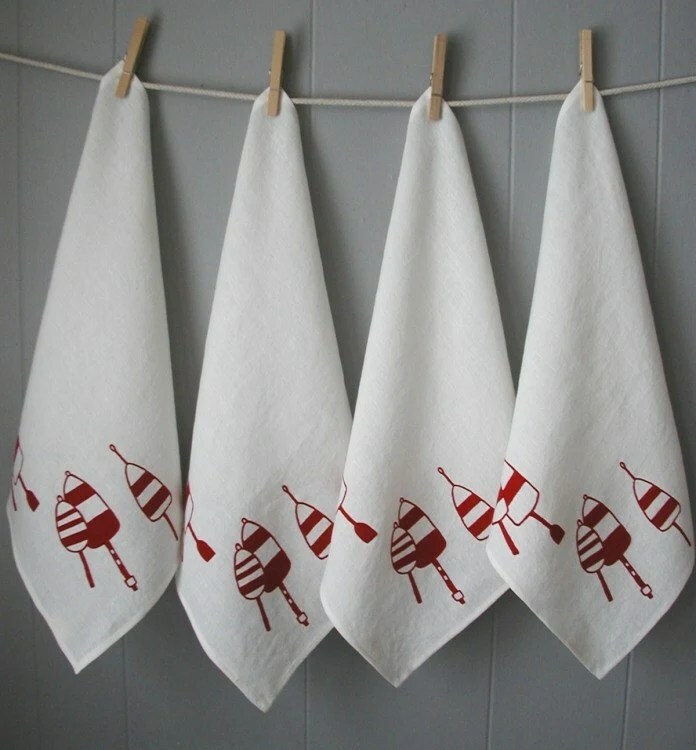 I have found buoys for interior and exterior decorating projects over the last year inTarget, Pottery Barn, Home Good’s, local gift shops and several internet websites. 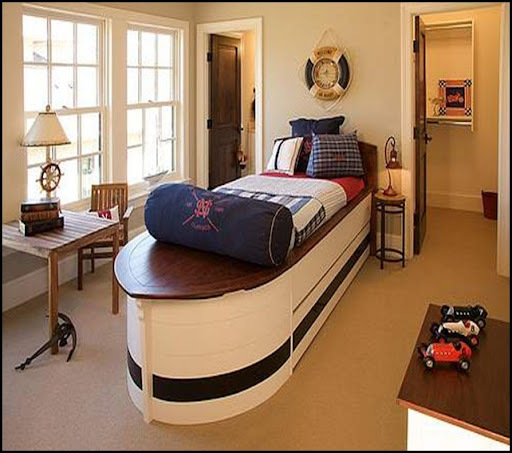 So if you are decorating a child’s bedroom or playroom, a family room or even an exterior patio space, there is a buoy for you! Click each photo to see where you can buy each buoy! Today, while visiting the workshop of a family friend, I spotted an old wooden row boat. 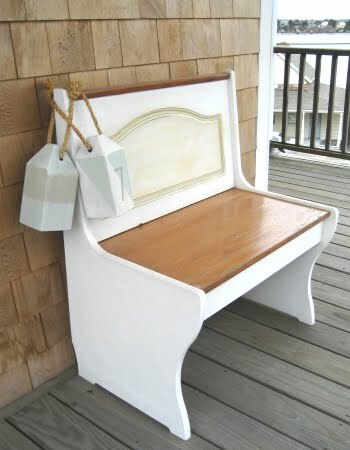 I loved the weathered, vintage appearance of the boat, and immediately began thinking of clever ways I could use it on my next project. 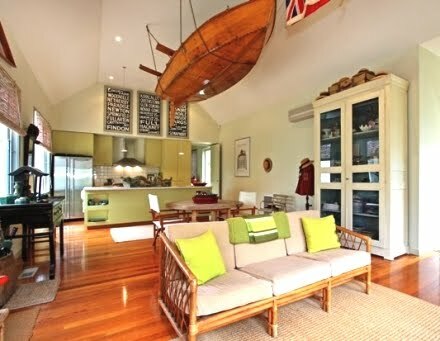 After scouring the internet for inspiration, I’ve come across quite a bit of boating/sailing interior decor inspiration that I just had to share! Enjoy!